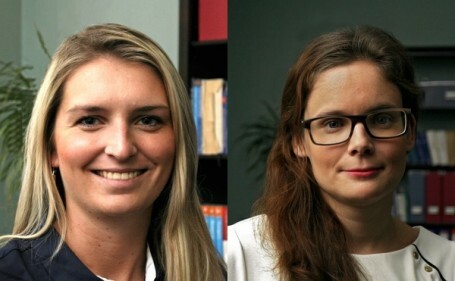 Prague, May 11, 2015 — Best Communications, the Anglo-Czech public relations agency, today announces the promotion of Barbora Dlabáčková (31) to the position of Account Director, and the appointment of Iveta Pokorná (24) to the position of Account Executive. Barbora’s promotion comes after her three tenure at Best, where she is focused mainly on financial and industrial clients. Barbora also has experience working with various FMCG and real estate clients. In her new role as Account Director, Barbora will be responsible for the creation and implementation of various communications strategies and overseeing the organization and daily activities of her teams. Prior to joining best, Barbora worked as a journalist—an experience that has provided her and which continues to provide her with an excellent understanding of the inner workings of the press. She graduated with degrees in Journalism and Media Studies from the Faculty of Social Sciences and with a degree in Aesthetics from the Faculty of Philosophy and Art from Charles University in Prague. She speaks English and German, and is studying Greek, Russian and French. Iveta, having joined the Best team in the position of Account Executive, is responsible for media relations support, media coverage analysis and client events coordination. At Best, she works primarily with financial and industrial clients. Before joining Best Communications, Iveta worked for over two years at Yves Rocher where she gained much valuable experience in their marketing and PR departments. She holds a master’s degree in International Trade with a minor in Anglo-American studies from the University of Economics in Prague. Iveta speaks English and French, and is also studying Russian and Croatian.